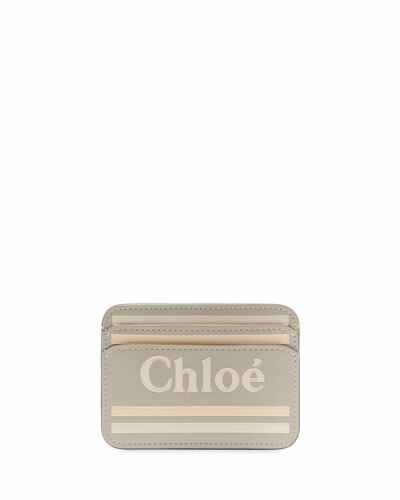 Since 1952, Chloe has been a go-to for chic, sophisticated yet wearable fashion. 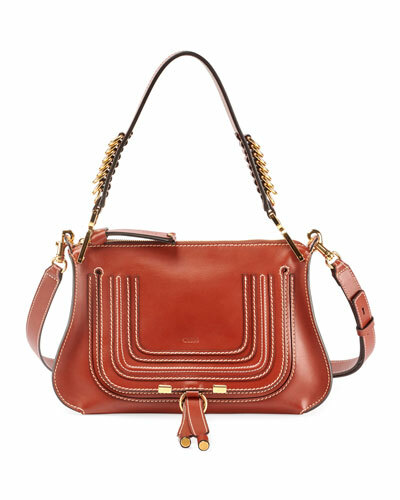 Chloe handbags reflect the label’s distinctive style DNA. 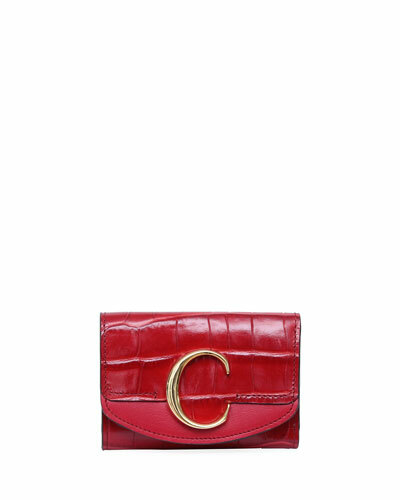 They are chic, functional and elegant must-haves, season after season. 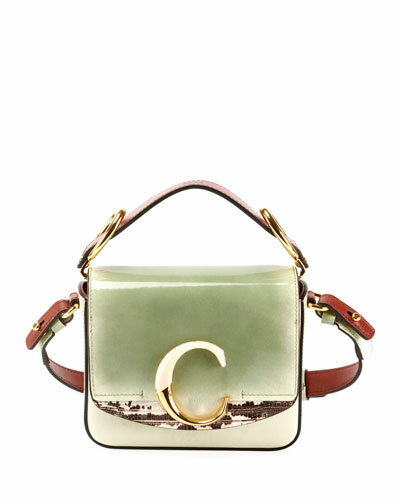 Neiman Marcus offers a variety of Chloe handbags, including crossbodies, saddle bags, satchels, and totes, plus wallets. 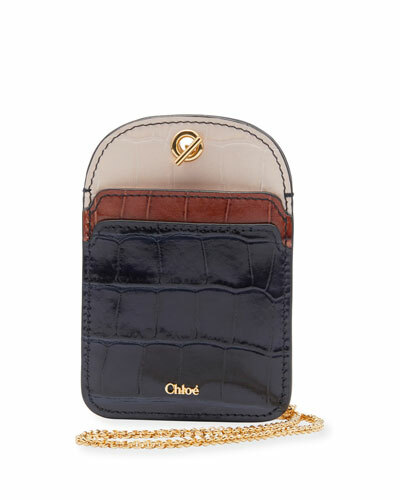 Longchamp shoulder bag in quilted lambskin leather. Removable flat top handle. 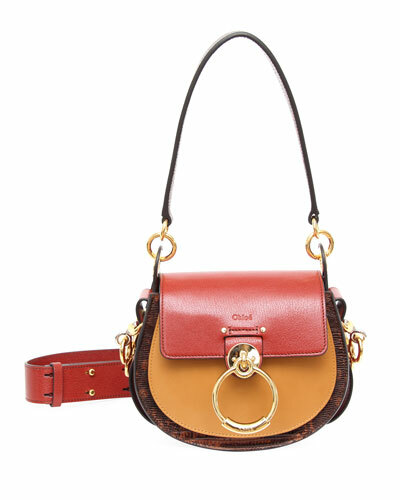 Sliding chain shoulder strap can be doubled, 13-23" drop. 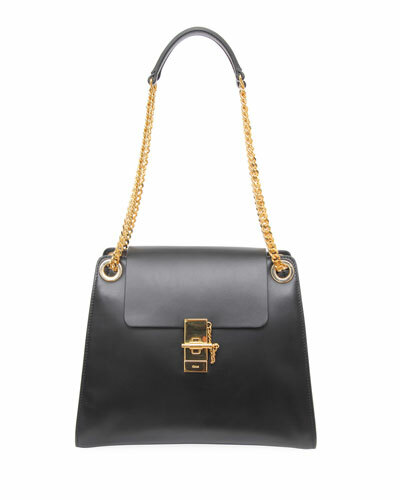 Longchamp "Cavalcade" lambskin leather shoulder bag with gunmetal hardware. 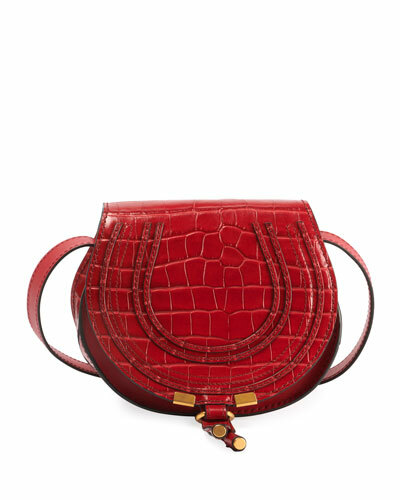 Padded shoulder strap with ring ends, 11" drop. 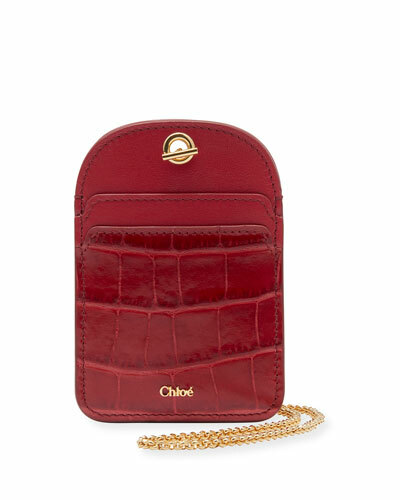 Flap to with logo-engraved and studded turn-lock closure. Exterior, zip pocket at back. Interior, logo-jacquard lining. One zip and two slip pockets. 9.5"H x 11.8"W x 3.5"D. Imported.